Fed signals rates will stay on hold amid growth fears. Officials indicated they are unlikely to raise interest rates this year, leaving its policy rate unchanged, between 2.25% and 2.5%. Chairman Jerome Powell cited mild inflation pressures, a sharp pullback in financial risk-taking and clear threats to U.S. growth in explaining the Fed’s new wait-and-see stance. The Fed’s new "normal" looks worrisome, writes Greg Ip. New Zealand to impose sweeping gun ban after attack. The country's prime minister moved to ban military-style semiautomatic weapons, assault rifles and high-capacity magazines, stepping up its response to Friday’s slaughter of 50 worshipers at two Christchurch mosques by a lone gunman. Facebook said the shooter's video of the attacks revealed gaps in its handling of live broadcasts by users, but pushed back against the idea of setting up a time delay. Democratic candidates are split on how liberal to be. 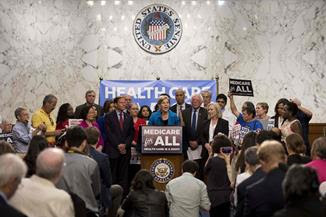 A push to the left among activists and freshman lawmakers is prompting 2020 contenders to test positions seen as politically untenable four years ago. The emerging camps have Bernie Sanders on the left, pragmatists closer to the center, and a third group trying to balance both. Who's next on House Democrats' target list? The House Judiciary Committee is planning to send a second wave of document requests to the associates of President Trump. Expected targets include Trump lawyer Rudy Giuliani; a former lawyer for Michael Cohen; former Secretary of State Rex Tillerson and former economic adviser Gary Cohn. Trump to issue order tying grants to free speech on campuses. The order falls short of what some university officials feared would be more sweeping or specific measures; it doesn’t prescribe any specific penalty that would result in schools losing research or other education grants as a result of specific policies. Cancer verdict pummels Bayer. Shares fell almost 10% after the chemicals and pharmaceuticals giant faced another legal setback in its fight against accusations that its Roundup weedkillers cause cancer. Verdicts in an initial batch of related cases going to trial this year are crucial for Bayer’s efforts both to avoid what analysts fear could be billions in potential legal damages and to convince investors that its Monsanto bet was right. U.K. requests three-month Brexit extension. Ahead of a summit with European Union members this week, the U.K. has asked to delay its departure from the bloc until June 30. But EU leaders are only likely to grant such a short extension if British Prime Minister Theresa May can win backing next week from the U.K. Parliament for her Brexit deal. Why the 737 MAX kept flying. Southwest, United and American faced worries from passengers and employees after the Ethiopian Airlines crash. They say data, not economics, drove their choices. China razes Muslim communities to build a loyal city. 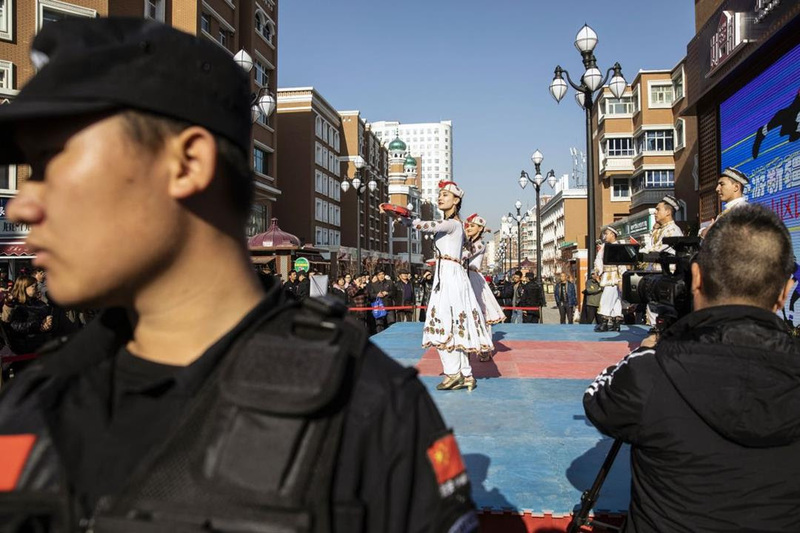 In an old Silk Road city in western China, a state security campaign involving the detention of vast numbers of people has moved to its next stage: demolishing their neighborhoods and purging their culture. Jumbo mortgages are slowing down. High-end home buyers are turning cautious, a blow to banks that refocused their mortgage businesses around wealthy borrowers in the years after the financial crisis. Originations for jumbo mortgages—loans too big to be sold to Fannie Mae and Freddie Mac—dropped 12% last year by dollar volume. Chinese education startup puts Western teachers on notice. VIPKid, one of China's most valuable online-education startups, has put hundreds of its mostly American teachers on notice for using certain maps in their classes with Chinese students. The moves highlight the balance a Chinese company must strike in fulfilling global aspirations while toeing Beijing’s line. What AI is still far from figuring out. Machines have got better at applying rules, but will they ever match humanity’s ability to come up with new ideas? NCAA tournament begins. Tip-off for March Madness is at 12:15 p.m. ET and whether you love them or hate them, the Duke Blue Devils are the favorite to win. There are five upsets that shouldn't be surprising—and don't count out Virginia. But if you need help filling out your bracket, let WSJ’s Madness Machine do the work for you. Is elite college worth it? Maybe not. Evidence shows that a college degree delivers a large income premium over a high school diploma, but a selective college doesn’t make the premium bigger. Those who are successful after graduating from such a college would probably have prospered if they had attended a less prestigious institution as well, writes the Journal's Greg Ip. 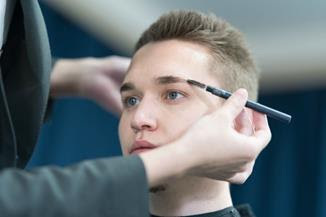 How to wear makeup for your interview—men's edition. In parts of Asia, some men are making a habit of what is de rigueur for many working women: using a bit of makeup on the job to hide splotches, smooth out skin tones or sharpen eyebrows. 1. 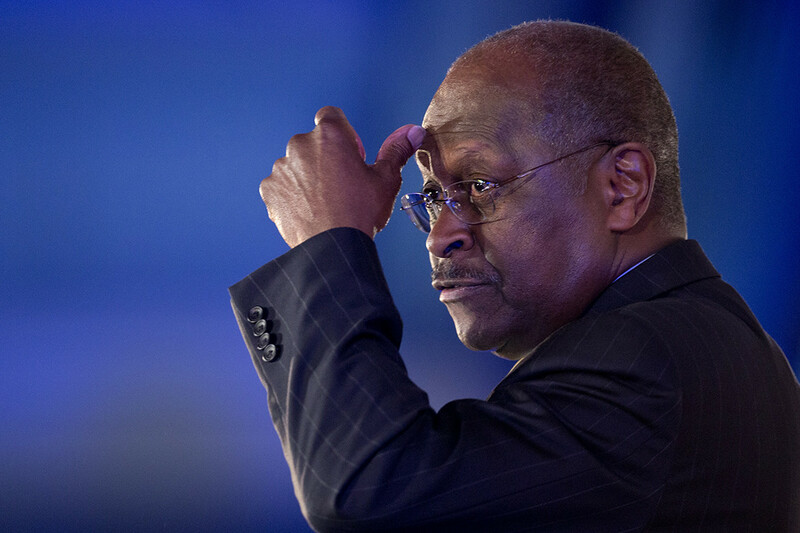 Now you see it ... President Trump's budget proposal assumes the federal government will collect up to $1.2 trillion in taxes that may not materialize, including Affordable Care Act levies the administration opposes and money from the expiration of various business tax breaks. Meantime, more taxpayers could get a break if they withheld too little last year, thanks to broad changes in the tax code. 2. Betting on the low-income house? Casino magnate Steve Wynn, who was forced to sell a big stake in Wynn Resorts last year after sexual-misconduct allegations, met with Treasury officials about "opportunity zones," which let investors postpone and reduce capital-gains taxes by reinvesting in low-income areas. 3. Meghan Markle faces a royal tax headache. The Duchess of Sussex's baby will be an American citizen living abroad—with all the tax headaches that entails, writes Wall Street Journal tax columnist Laura Saunders in an open letter to Meghan Markle. Detroit downloads Tesla's software strategy. 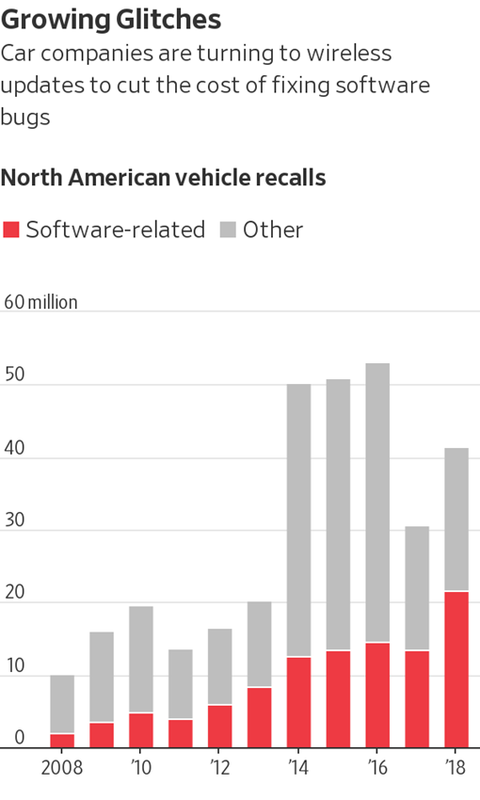 The electric car maker pioneered the concept of selling wirelessly updatable cars, and now GM, Ford and Toyota are trying to catch up, hoping to save billions in warranty and other repair costs by correcting problems via internet-transmitted fixes. 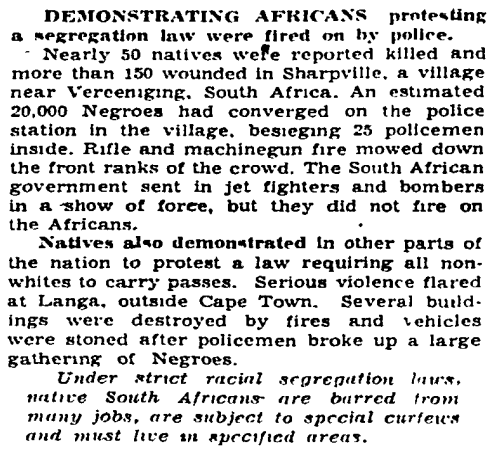 In the South African township of Sharpeville, police opened fire on a crowd of protesters, killing 69 people and injuring 180 others. Thousands of protesters went to the police station in the town to demonstrate against pass laws, an internal passport system that severely limited the movements of black citizens and segregated South African society. International furor over the massacre grew with sympathetic demonstrations in other countries and official condemnation by the United Nations.